Geoff and Sian Cummins welcome you to The Grove, Falmouth. 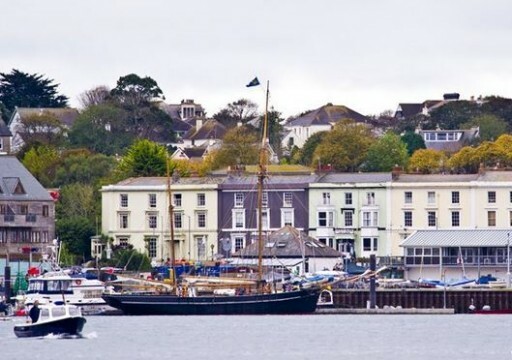 This Grade II listed Georgian house has been renovated to a high standard and many of the ensuite bedrooms have views over the harbour and Maritime Museum with the stunning backdrop of The River Fal Estuary beyond. 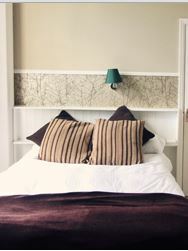 As well as the fifteen tastefully furnished bedrooms there is a comfortable TV lounge, a cosy bar and a beautiful restaurant at the front of the hotel for breakfasts, seasonal dining or just enjoying a newspaper and a cappuccino. The Grove is perfectly located for exploring Falmouth, being only one minute’s level walk into town with its varied choice of restaurants, harbourside pubs and shops. Also close by are quays for boat trips, a watersports centre, a leading diving centre and the acclaimed National Maritime Museum Cornwall. Grove Place is on the South West Way and there are fantastic walks in several directions from the guest house. We rely on public parking but there are several options which the staff will be happy to explain.